Adina Beth is an Evidential Spiritual Medium. 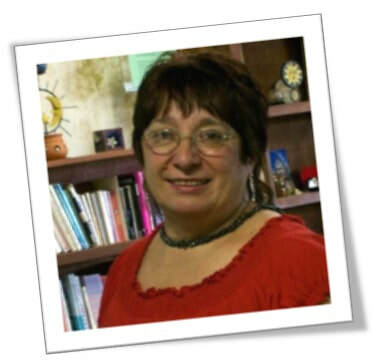 She has devoted and focused her entire life on the development of children. 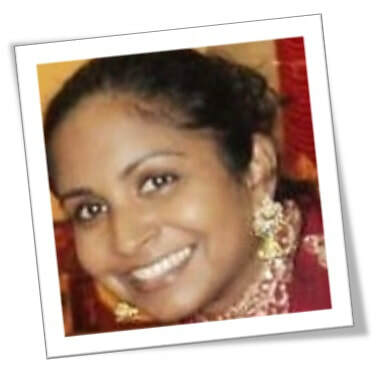 She majored in College as an educator, and has worked in many different capacities from infancy to adolescence. After her children were grown, she was able to focus on her true calling as a Medium. 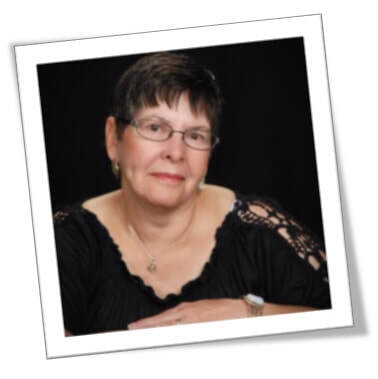 Being divinely guided she continues her work through Spirit with children who have passed, giving much needed messages to parents here in the physical world. She has worked, not only with people here in the U.S. but also internationally. Her compassion has been spread as far as New Zealand, the UK, Australia, South Africa and many more. Her readings are done with love and compassion for the sensitivity of each situation. The loss of your loved one is very important and no one else feels YOUR heart break the way YOU do; whether it’s a grandparent, father, mother, sibling, son or daughter, even a miscarriage is still a life and a love that will not be forgotten. 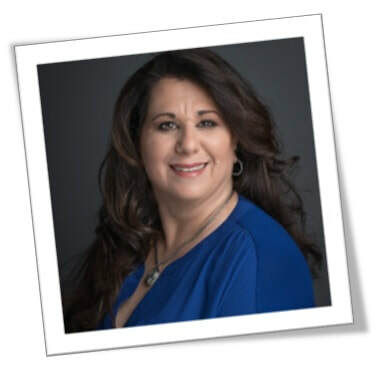 Come meet with Adina Beth, embrace the love, spiritual connection and begin the healing your soul deserves. Connecting with her is easy, visit her website at www.adinabethmedium.com , facebook:@adinabeth-spiritualmedium, or you can just call her at 480-900-8891. 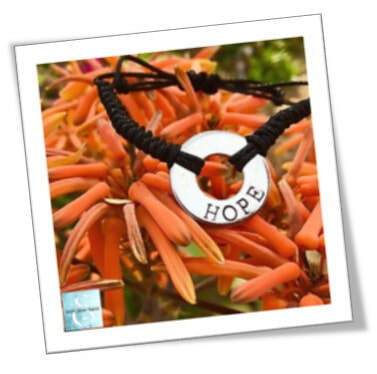 ​Gifts of positive affirmations, bamboo clothing and demo our Bemer mat. 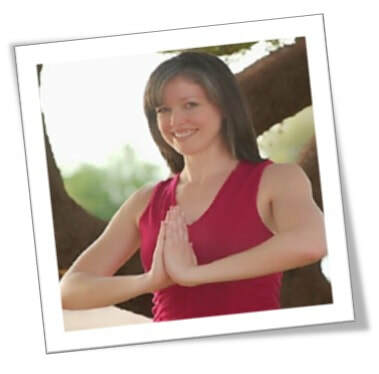 ​As a young woman, Diane began practicing Yoga and meditation simply as a means of exercise. 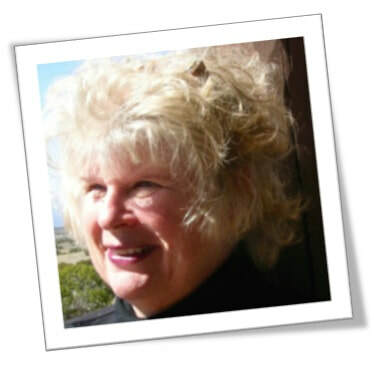 As her skill and practice grew, she became intrigued by the physical, spiritual and emotional healing results of her practice and with that revelation, began to explore additional healing methods. What started many years ago as a journey toward personal health, slowly grew into practice for supporting friends and family in their quest to regain or maintain their health. 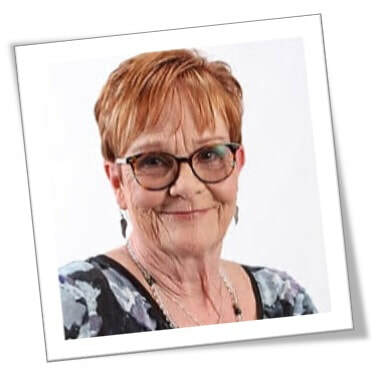 Now Diane’s practice has grown beyond the walls of her personal loved ones, and through her business, Tiger Lily Energy Healing, LLC. 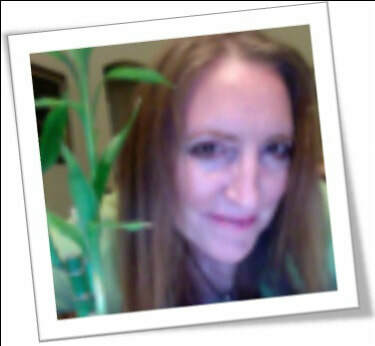 offers her services to anyone open to exploring the power of vibrational healing. You CAN feel better! You can reverse the chronic patterns of pain, anxiety and depression to feel healthier, more alive and thrive. 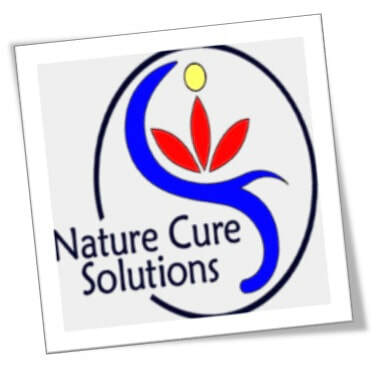 At Nature Cure Solutions, we believe there is a natural, safe and effective cure for you. Are you ready to find your solutions? We create a holistic partnership, specific to you, by providing therapeutic support and encouragement. 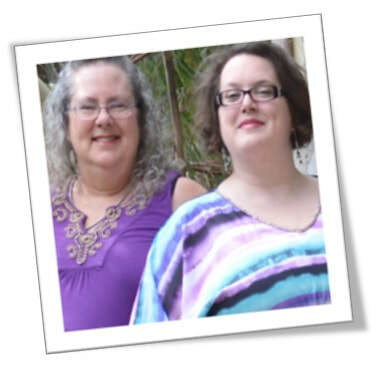 With over 35 years of combined healthcare experience, this mother/daughter team hold to the highest ethical standards offering you premium wellness care. 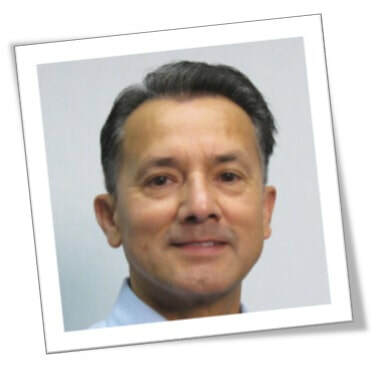 We treat chronic medical conditions, focusing on a holistic, mind-body-spirt, approach. We specialize in frequency medicine, including the ancient practices of Chinese Medicine and the Yogic traditions of the chakras and aura, as well as the latest in Integrative Medicine. The medicine and modalities prescribed are personalized to facilitate optimal change. 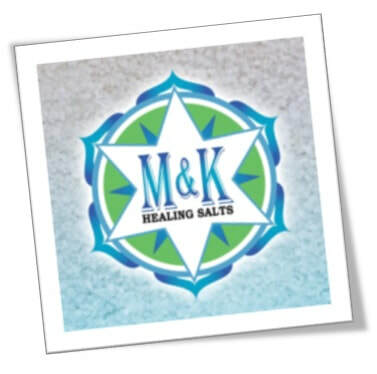 Our treatments include: therapeutic gemstones, homeopathic remedies, specialty botanical blends, aromatherapy and flower essences, as well as, hands on work such as therapeutic massage and bodywork, hydrotherapy and more. We also feature unique skin care and beauty products, infused with essential oils and therapeutic gemstones, to further support your self care and personal healing. Dr. Kayla Sumberg, our Naturopathic Physician, and PHILINDA, our Medical Intuitive and Spiritual Advisor, provide you, and your loved ones, with a safe and scared space for true healing and growing. 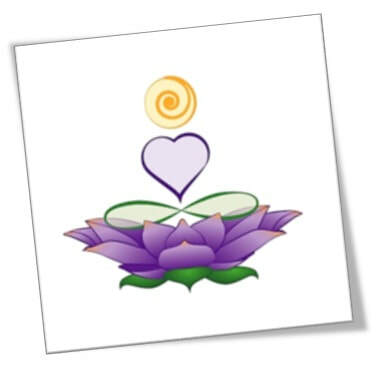 This supportive environment allows you to expand your consciousness and become the master of your healing journey. 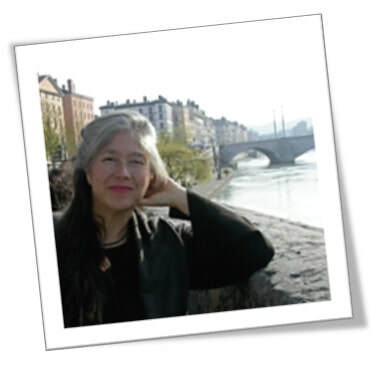 ​Eleanor is an experienced photographer. Started as young as 3 years of age, being given a 110mm point and shoot for Christmas by a family friend, then graduated to 35mm when given by her father for Christmas, from there Eleanor graduated the Hallmark Institute of Photography in 2000 with a commercial photography degree. She had assisted with David LiBianca a photographer of the New York Times and worked closely with commercial photographer Manny Alanso who had done several advertisements with brands like Rolex and Bacardi. Originally she started in New England, throughout Connecticut, New York City, Massachusetts, and New Hampshire. Specializing in weddings, family portraits, commercial shoots, graphic design, and photographic restoration. In 2007, she started Images by Eleanor, doing weddings, events, greeting cards, and prints. Creating one of a kind artworks both inspiring and eye catching. She aims to find a “unique connection” of which she photographs; with the land, person, or object. She also has a small sister company called “up in Knotts “ to be launched on Etsy. It’s full of crocheted pieces. Eleanor, uses crochet to assist with her PTSD, to keep her “knotted together “ and keeping her mind at ease so she doesn’t unravel. 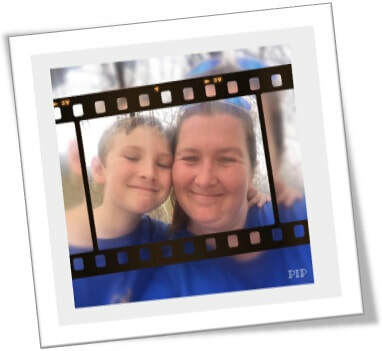 She also has been encouraging and training her 7 year old son, to also take up the camera and express his artistic talent since the early age of 2. Collin will also be present with his artwork as well. 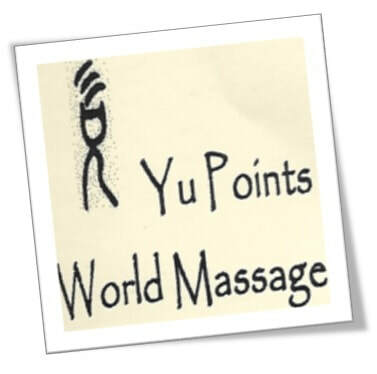 Your one stop shop is finally here where you can come in to relax and enjoy your day. Whether you’re in need of a massage, reiki, infrared sauna, ion foot detox, weight loss programs, HCG, colon hydrotherapy, acupuncture and cupping. Kasia, Nathalie, Melissa and JoDee offer many options to fit your needs. Weight loss programs can change your health and happiness for a better quality of life. With weekly vitamin injections, weigh-ins, motivation and quality time to help you along your path. 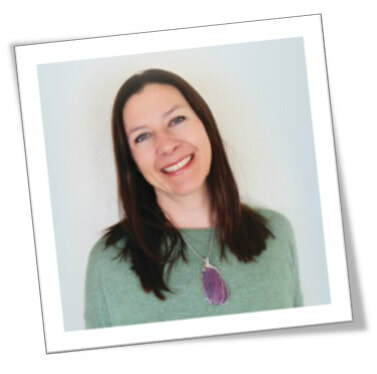 Are you struggling with weight loss we will advise making an appointment with Nathalie to do hypnotherapy and/or heartmath to aid in your new journey? 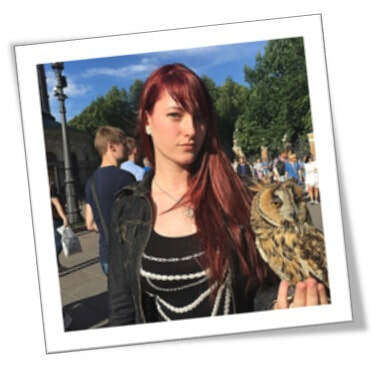 Kasia is an amazing massage therapist she can massage all the worries and stress out of your body and mind. And if all of that is helping we would like you to stop and think about your colon health. Your colon and your gut lead to many issues of the body. 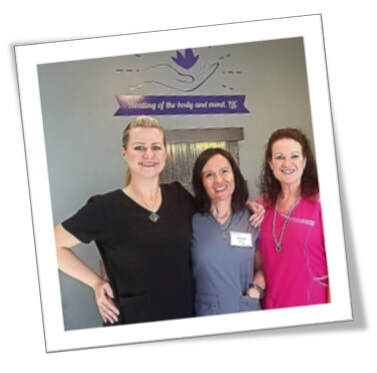 Kasia and Melissa are both certified and will guide you through a session or two of colon hydrotherapy. Colon Hydrotherapy pulls out toxins out of your system. This will help aid in better digestion, bloat, gas and having regular bowel movements .You will feel like a new, healthier version of you. At today’s expo we will be offering the knowledge of heartmath, ion foot detox, complimentary vitamin b shots today via sublingual or injections. Chair massage will also be provided for you to take a few moments of your day and relax. ​Selenite jewelry, healing wands and cleansing items. Butterflies in shadow boxes and globes. 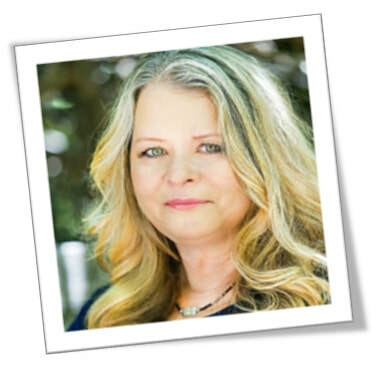 Jewels Foster is a Certified Intuitive Quantum Healer, Holistic Life Coach & Kundalini Energetics Artist who works with both empathic men and women. 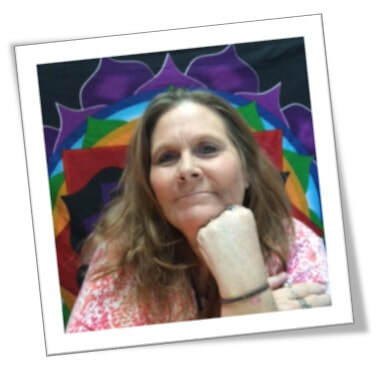 She practices in the healing arts of guiding and mentoring her clients to connect to their higher self through powerful and effective quantum-style healing techniques. All of her methods are used to free her clients from lower frequency baggage accumulated during early childhood traumas. These frequencies mainly consist of fear, guilt and shame causing blockages that keep us stuck from being fulfilled in who we truly are. 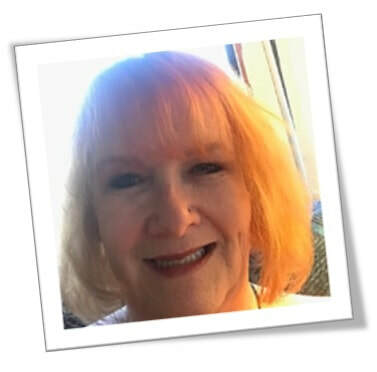 As she assists her clients in surrendering the negative emotional energy charges, they are able to find relief and experience both significant energy shifts and life transformational changes. Jewels has done her own work and has been consciously aware of her awakening process for 17 years. 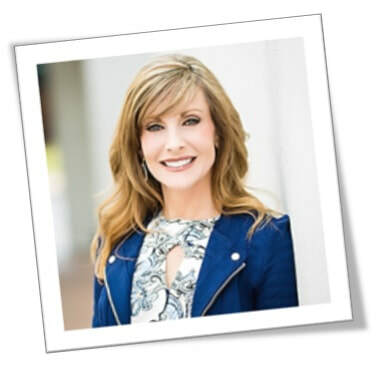 Within the last several years she has become certified in cutting edge modalities that are not only efficient, but tremendously effective for the changes her clients desire and deserve. Jewels offers both local and distant healing sessions. The Muscle Testing Academy was created by Steve Brinton in 2013. 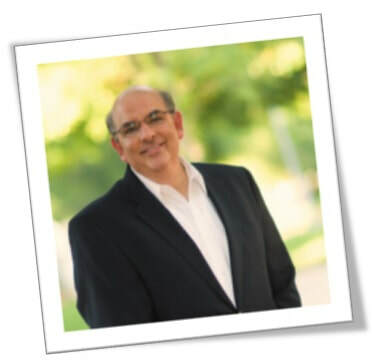 Steve has a Master’s Degree in Marriage and Family Therapy and in Social Work. 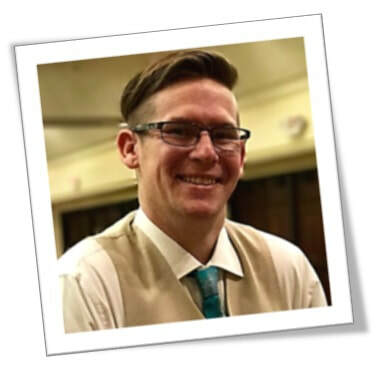 After working in a private practice and agency with clients in the mental health field for 6 years Steve was trained in the art of Muscle Testing. Steve is a master of muscle testing; he is dedicated to his own transformation and to the healing process of others with whom he works. 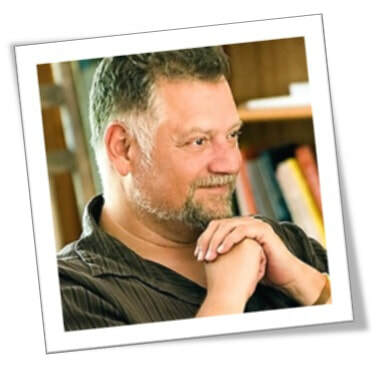 When asked by clients to teach this class Steve declared “I will teach you all I know.” He is committed to helping others discover the truth about their own life and release the untruths that stop them from living a life of full self-expression. This course is Steve’s way of sharing what he has learned over the past 27 years of practicing Muscle testing. Joyce and Steve have been married for 36 years. 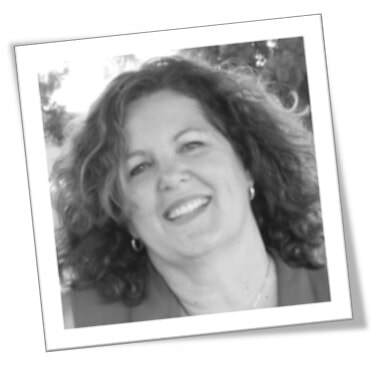 Joyce has a Master’s Degree in Educational Psychology. 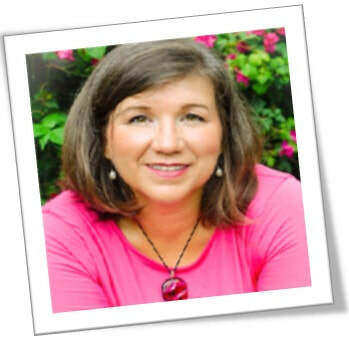 She is an author of “I Found Myself in China…A journey to what’s next in Life”, a speaker and coach. She also teaches the Energy Mastery Course. 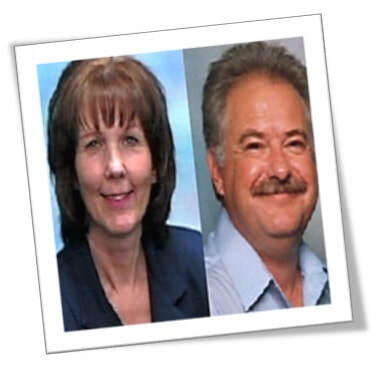 Steve and Joyce have had the privilege of teaching seminars together for the past 31 years. Muscle Testing is a primary tool they use as partners to strengthen their marriage and work on their own personal transformation. Combining Fashion with the amazing benefits of energetic wellness! The bases of our necklaces have Bio-Energetic Elements embedded in the back of them. (Negative Ion, Infrared, and Germanium). There are also the "tudes" that are attached with Neodymium magnets (the strongest on the planet) to help protect us from EMF's (cell phones, WiFi... all around us). The tudes are interchangeable and you can create many different beautiful creations from one necklace alone! 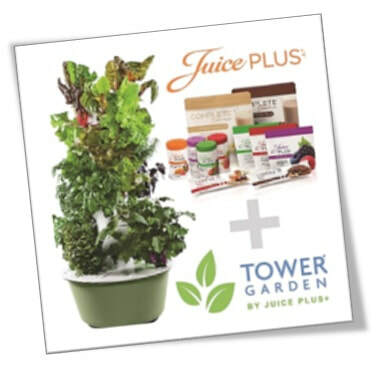 Juice PLUS+ is the juice powder concentrates and oils from 48 different fruits, vegetables and grains. It supports a healthy diet by offering a wide variety of naturally occurring vitamins, along with antioxidants and phytonutrients. Every Juice PLUS+ product is made from quality pesticide free ingredients, picked at the peak of ripeness, helping you bridge the nutritional gap between what you should eat every day for optimal health and what you actually do eat. Towers Gardens allow you to easily grow your own farm-fresh, nutrient-rich produce virtually anywhere, year-round, without soil (no weeding or tilling!) or pesticides, using only 10% of the water and land of a traditional garden. After working for over 20 years in a Pediatric Intensive Care Unit, Juli started her journey to find peace and calm within. 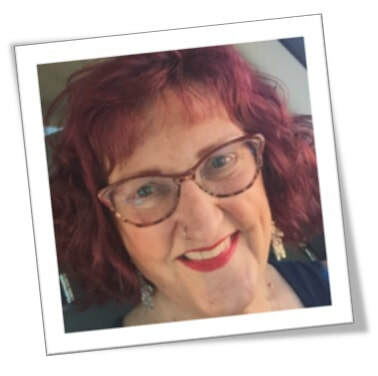 In her search she has found two significant things that have done so much to help calm down the nervous system and started her on the road to calm and happiness. Now she wants to share the techniques she has learned with the world. Juli believes that when you’re working from a place of calm the healing that can happen is truly life changing and magical. Everyone can do the exercises because they can be modified to the individual. After the first 10 sessions doing this practice it is simply a 15-minute practice that can be done anywhere, literally anywhere, that needs no extra equipment or special space. You will feel the difference after 15 minutes. The Ajna Light uses the latest high-power LEDs to allow the hypnogogic trance state to be induced easily and rapidly, and as soon as the Ajna Light stops playing the light pattern sequence, the receiver can quickly come back to the normal alpha or beta brainwave condition without the side-effects of Ayahuasca or LSD. Baths. 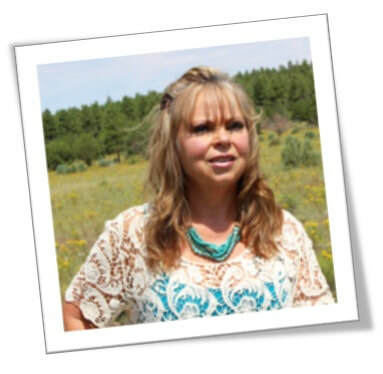 She is founder of the Gypsy Trader Studio of Healing Crystals. measures your electromagnetic energy field and displays your colors. What does you Aura reveal about you? What are your possibilities? with Karyn Diane using her gifts of insights for guidance and clear vision. pieces are created with an excellent array of crystals, gems, stones and pearls. They carry the intention to return to Love and Joy, our natural state of being! the Holy Grail, a stone for Transformation and Change. and cleansing one’s personal energy as well one’s environment. Demanding your attention! It’s all about the Energy! High quality solid gold, copper, sterling silver and crystal jewelry - Crystals vary greatly and can include any of the following and more: Amazonite, Amber, Amethyst, Ametrine, Apatite, Aquamarine, Auralite, Aventurine, Azurite, Black Onyx, Beryl, Black Tourmaline, Bloodstone, Blue Lace Agate, Botswana Agate, Bronzite, Calcite, Carnelian, Cat's Eye, Charoite, Cherry Quartz, Chrysacolla, Citrine, Coral, Crystal Quartz, Dendritic Opal, Dravite, Elbaite, Emerald, Ethiopian Opal, Fire Agate, Fire Opal, Fluorite, Garnet, Goshenite, Grossular Garnet, Heliotrope, Hematite, Herkimer Diamonds, Hessonite, Howlite, Iolite, Jade, Jasper, Jet, Kyanite, Labradorite, Lapis Lazuli, Larimar, Lepidolite, Lodolite, Malachite, Magnesite, Moldavite, Mookaite, Moonstone, Morganite, Moss Agate, Mother of Pearl, Nephrite, Obsidian, Onyx, Opal, Pearl, Peridot, Pink Opal, Pink Tourmaline, Poppy Jasper, Prehnite, Pyrite, Pyrope, Quartz, Rainbow Moonstone, Rhodonite, Rose Quartz, Ruby, Ruby Zoisite, Rubellite, Rutilated Quartz, Sapphire, Serpentine, Smokey Quartz, Snow Quartz, Sodalite, Sunstone, Strawberry Quartz, Tanzanite, Tigers Eye, Topaz, Tourmalinated Quartz, Tourmaline, Turquoise, Unakite, Verdelite, Watermelon Tourmaline, Zoisite and many more.. Affordable jewelry including many of the same stones, copper, silver-plated and other metals + a variety of charms (Faith, Hope, Love, Tree of Life, Lotus Flowers, Crosses, Buddha, Fairies, Dragons, Ohms, Sun, Moon, Eyes, Celtic Knots, Triquetas, Angels, Angel Wings, Stars, Butterflies, Hearts, Infinity Signs, 4 Leaf Clovers, etc.). Raw and collection crystals including clusters, points, spheres, specimens, polished and many other variables of crystals, including common and incredibly rare stones acquired from around the world. Over 100 varieties of crystals between raw, unique high end jewelry, and affordable jewelry items. Custom pieces available upon request (I will have jewelry supplies and tools on hand at each show). 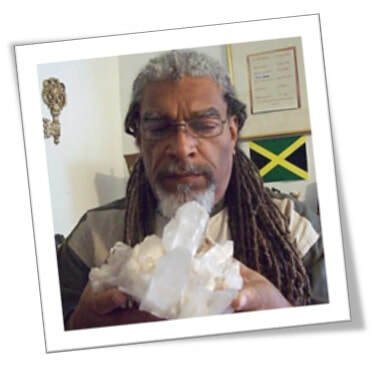 MnVeez Crystals was created out of a pure love of healing through the use of Crystals. Mother Nature has provided us with everything we need to facilitate healing of the mind and body. Crystals are meant to be utilized as tool for enhancing your meditations, speeding up your recoveries, and discovering the depths of your mind and thoughts. We carry over 90 varieties of Crystals in both their pretty, polished and raw forms. We also carry Singing Bowls to help you raise your vibrations and feel the joy of sound. You will find Tapestries for your sacred space, Incense to enlighten your senses and plenty of unique and one of a kind items. 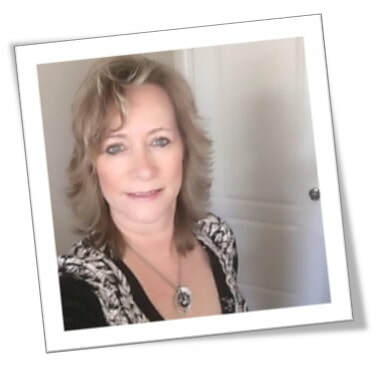 Business owner, Misty Duran is also Certified as a Shamballa Reiki Master Teacher which means all shop items are given a radiant and loving Reiki charge. All items have been carefully hand selected and set for your highest good. 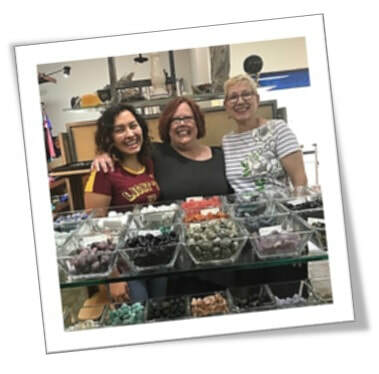 Please stop by and see why our Crystals are all so happy !! Natures Jewelry Designs collection offers unique handmade Reiki energy healing and Intention gemstone and beaded jewelry inspired by love, spirit, and nature. It helps the wearer attain a balance of physical, mental, emotional and spiritual well-being while strengthening your energy field. 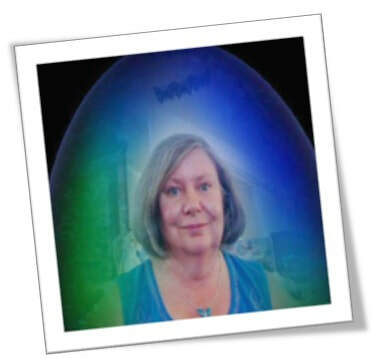 Jyl is a Usui Reiki Master/Teacher, Karuna Reiki Master, Blue Star Celestial Master/Teacher, Color Therapy Practitioner, Singing Bowl Sound Therapist and a Tuning Fork Practitioner. They aren’t just a beautiful piece of jewelry to wear they are balancing you all day long. Victoria Spears "Nature's Healing Treasures"
I believe that nature has a very healing effect on people. This is why I design natural wood, crystal and semi precious stones healing art work. I am constantly blessed and guided to make new treasures all the time. I love being lead to bring life back into the wood that has been in forest fires or hit by lightning. It brings joy to my heart to see people find the piece that was made for them. I have also been blessed and honored to be able to photograph Angels and Fairies. I feel the reason for this is to remind us that we are not alone and that we are deeply loved. 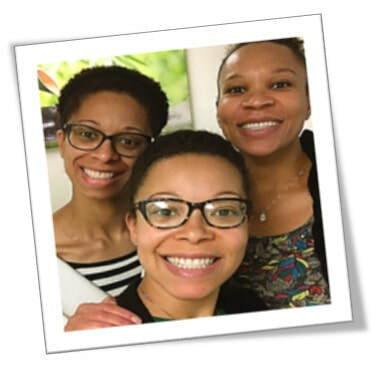 Hailing from Washington State, Niki, Zara, and Vira Smith of Nizavi Mind-Body Wellness, are the youngest three sisters of a family of ten. As natural intuitive healers, they began to hone their skills in 2007. 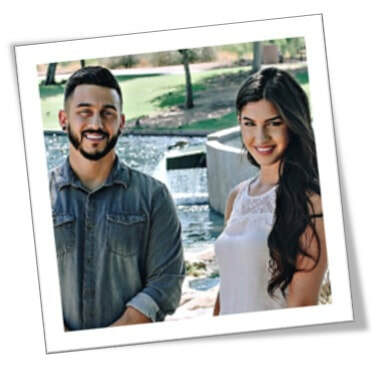 After learning varied energy healing techniques like Reiki, Theta, Integrated Energy Therapy, and other practices like Oracle card readings, channeling, and soul readings, they moved to Arizona to attend Southwest Institute of Healing Arts to broaden their intuitive skills and learn new modalities. All three sisters work together to perform Reiki. With all three unique energies combined, they offer profound healing sessions. 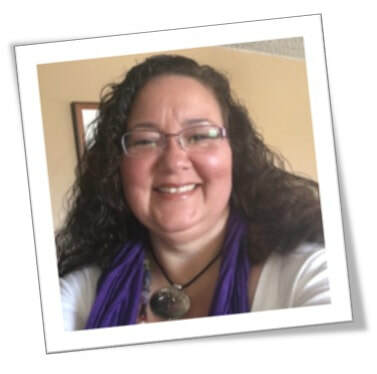 Niki is a certified Theta practioner, a soul reader, a Reiki Master and teacher, and a budding, soon to be, licensed Massage Therapist and Polarity practioner. 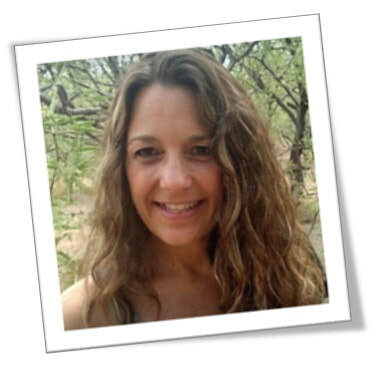 Zara is also a Theta practioner, and a certified Holistic Nutrition and Life Coach. 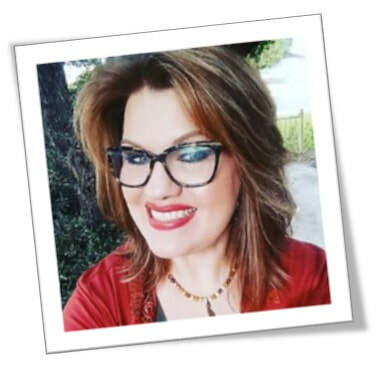 Vira is a certified Hypnotherapist, Yoga Nidra practioner, certified Holistic Nutrition Coach, and a channel for spirit guides. 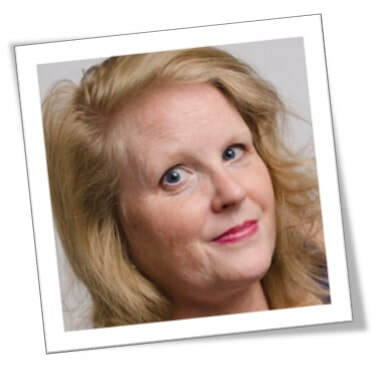 Pamelyn J. Williams is a Channeler, Clairvoyant, Audio Clairvoyant and Intuitive Reader. Who has learned how to master living beyond the mind and Hu-man feelings as a enlighten being. 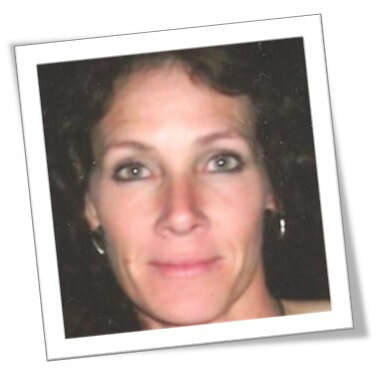 She is also a Retired Disabled Veteran, who presently lives in Phoenix, Az. While living on dialysis, due to kidney failure in June 1999. She discovered though her experience if she was going to live a full life. She needed to have energy and some relief from the pain of doing dialysis 3 days a week for 2 ½ hours, up until she had a kidney transplant in 2005. After, a great deal of research. 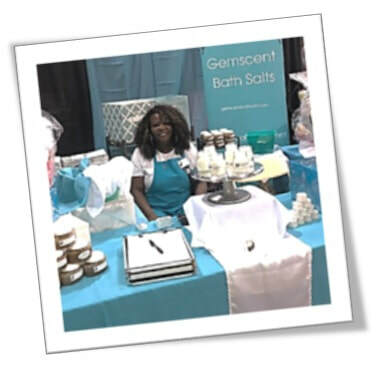 She was able to create The Gemscent Bath Salt Collection. The Bath Salt, Body Scrub and Lip Scrub are all natural that works with the body. Which helped give her everything she needed to live a full joyful life. After almost 13 years her kidneys are strong and she is happy and healthy. John of God Crystal Bed actually refers to the 7 Vogel Cut Crystals that hang above you as you lay on the massage table. ​Looking for magic? You've come to the right place! in your name with a one hour Numerology Session! other people for your career or relationships. to a particular piece and what it can do for you energetically. 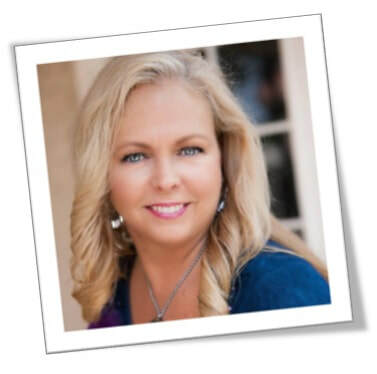 Henderly Ramsey, owner of Phoenix Rising Wellness, LLC, believes in making wellness a way of life. Come visit her at the Phoenix Rising Wellness booth and see the wide variety of pharmaceutical grade CBD products they offer, along with some cool hemp gear and raw local honey. 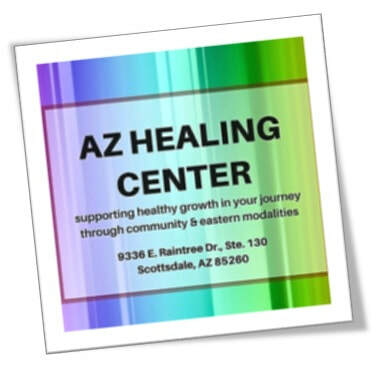 Get some free samples, enter to win your very own CBD products and learn about all the yoga and wellness classes offered in North Phoenix, Scottsdale, Tempe and throughout the valley. While you’re visiting the booth, ask about hosting a class on how to make goat cheese and the upcoming class on harvesting and processing prickly pear fruit! From educating about the value of hemp, to making her own wellness products, Henderly believes that the natural way is the ideal way and encourages all of us to make wellness a way of life. 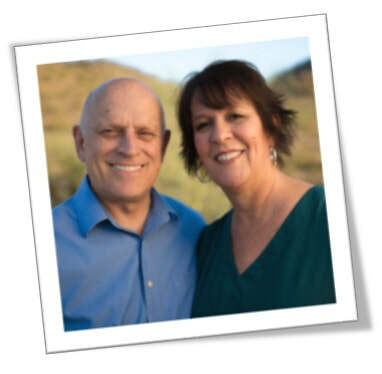 ​ info@PhxRisingWellness.com, www.PhxRisingWellness.com, www.WellnessWithHemp.com, 602-842-2380 (cell). Tom Workman is known as Laughing Spirit by the many communities he works in. 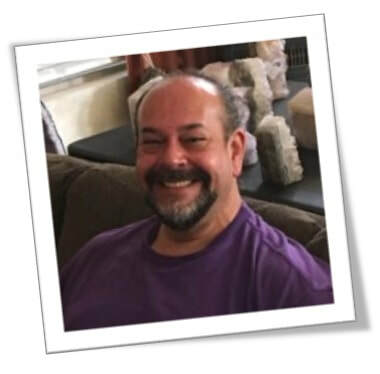 A certified angel card reader, reiki practitioner, and oneness blessing giver, Tom has been an active part of metaphysical communities in Washington D.C., Raleigh-Durham NC, and now Phoenix. 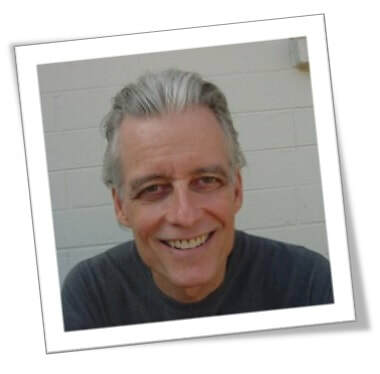 Tom is a trained psychic-medium and channel, and offers channeling with his partner AJ. He offers workshops across the country, and serves on the workshop faculty at Easton Mountain Retreat Center's bi-annual retreat, Bear Your Soul. His "Hero's Journey" meditation is a popular favorite at the event. 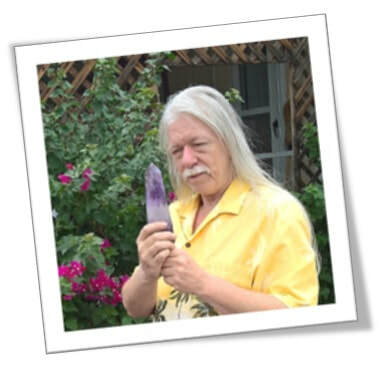 Tom's website, laughingspiritreiki.com, has a channeled blog from various beings, ascended masters, and angels. In having been “chosen” to witness her brother’s transition to behind the veil, Ellen began to delve into other’s near death experiences. She knew she had witnessed something miraculous that day, a catalyst for her intense spiritual quest. Ellen decided to say “yes” to everything resulting in unveiling her authenticity; her legacy. 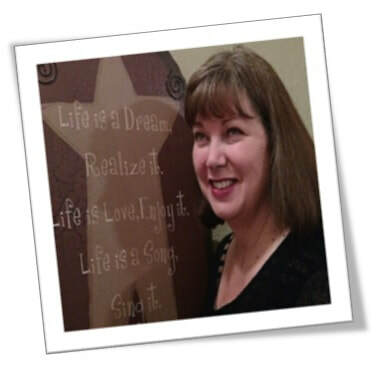 The universe began sending invitations to radiate, including Anita Moorjani, the International Woman’s Summit and winning the SWIHA life coaching scholarship, all paving the pathway to awakening. What began as a journey honoring her brother, Unveil Your Legacy evolved from self discovery to workshop design to the realization that the legacy she intended to create for her brother was actually her legacy evolving within herself. By asking the simple question of “What is your legacy?” to others, she witnesses their authenticity, and she realizes people want to be heard. 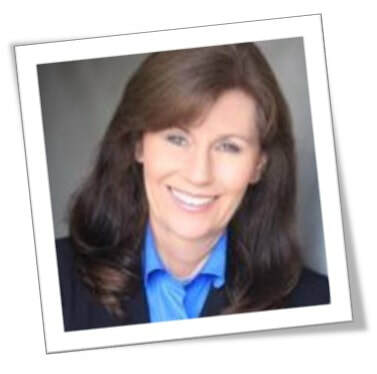 Through Unveil Your Legacy, Ellen encourages people to identify their legacy, offering coaching tools, to help unveil their greatness. As a reminder, she designs and handcrafts a necklace or bracelet to act as touchstone for their greatness. 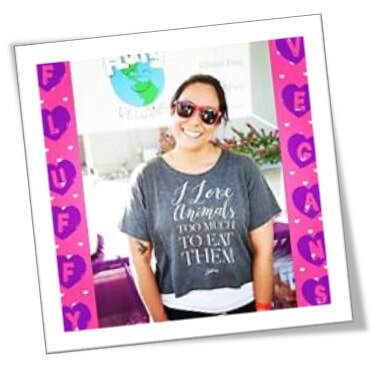 Ellen’s products can be customized for purchase with love and friendship. A portion of the proceeds are donated to The Joy Bus who provides meals to homebound cancer patients, bringing her caregiving journey full circle. The mission of Unveil Your Legacy has grown exponentially, welcomed by many. Ellen’s goal is to encourage more people to unveil their legacy, say “yes” to everything and embrace the wave of goodness. Are you ready? 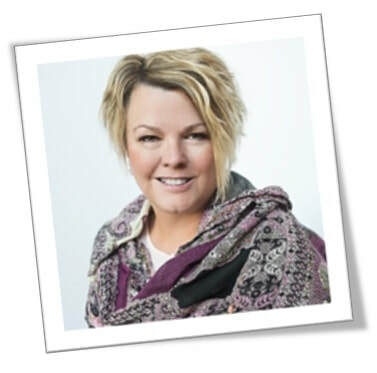 Deborah Brown's holistic health business began back in 2014, when she begrudgingly left a 21 year career in the technical field due to developing Chronic Fatigue Syndrome (CFS) and was in search of a solution. At the time she was fortunate enough to have excellent health insurance, yet did not fall within Western medicine's parameters for "poor health". Like many of the new ailments such as Fibromyalgia, Lyme disease, etc., CFS is not a real diagnosis, but instead a very generic category for things which are not well understood in the tangible world and the parameters are not easily measured through blood work, as these are more energetic illnesses. 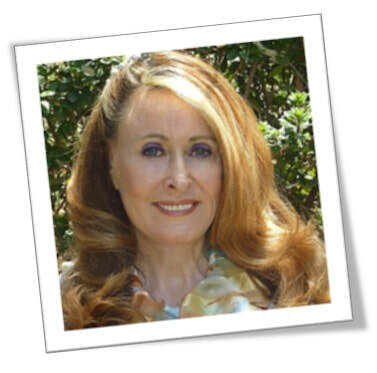 After many exhausting efforts thru Western and alternative medicine, she stumbled upon some holistic practices that were quite revealing as to the true nature of many chronic conditions. 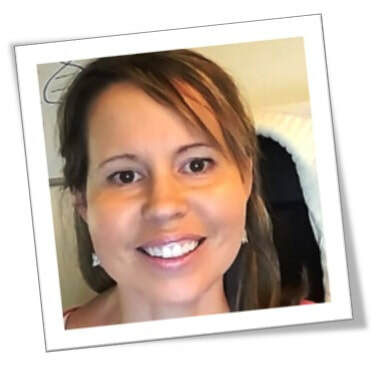 The holistic practices that she uses are what restored her back to health and are considered very non-invasive and do not require any medications or supplements. 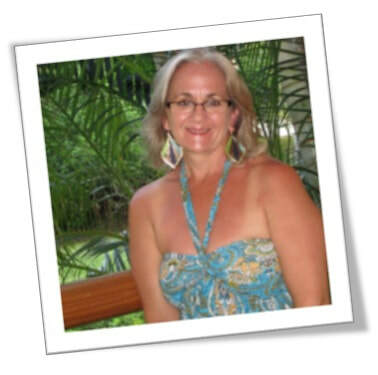 Deborah is available for free phone consultations regarding the healing modalities which she offers. 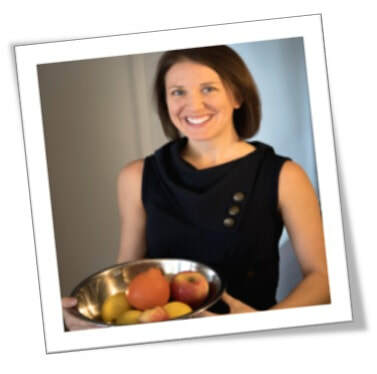 For more info, please visit her website at http://www.Wellness-and-Transformation-LLC.com. Come visit me to learn how to receive the World’s Best Moringa, and so many other natural products!! 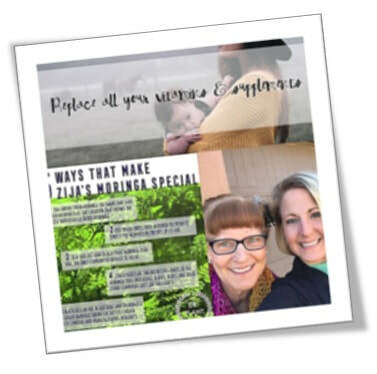 Here is a little bio of me, and why I am so devoted to sharing Zija’s amazing products with everyone! 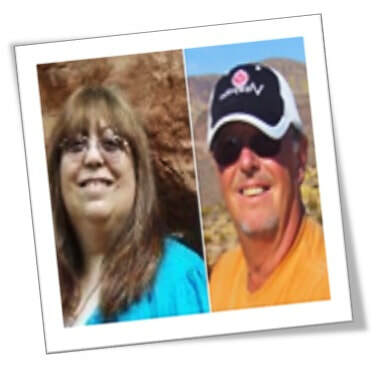 In the past 1.5 years…I have seen Zija’s Moringa work miracles for my friends, family, and loved ones. I find it my duty now to share this with as many people as I can. To offer the help and answer they’ve been looking for…Naturally. When the body is fed the right way - inside & out - it can do miraculous things!!! GenM 2 Minute Miracle Gel!! This gel harnesses powerful ingredients, including Moringa. It renews the skin without any abrasives or acids, and leaves skin smooth, soft, and glowing—in just 2 minutes!! ** Get your 2-day Free Sample here!! To learn more. . .Enjoy these! A mini Soul Contract Reading is an accurate, channelled system of spiritual interpretation that will empower you to do this by decoding the secrets of your life blueprint hidden within your birth name. The chart is interpreted to place your life experiences into perspective and to show where you are going. Recommendations are made to help you achieve your maximum potential in life. For parents: understanding your child’s soul contract can help you lead them in life.Let go of the disease and the human condition that anchors you so tightly to an existence that feels too small and too painful for you. Hi, I’m ZofiaRennea Morales, Biophysics Master and finance nerd. And I’m here to help you connect to who you are and what you’re doing here. Your soul is calling. And you are ready. I promise.